Rosti Automotive is a full-service supplier of exterior, interior and under bonnet components and systems to the European premium car market, with four manufacturing facilities within the UK and a design and development centre in Leamington Spa. Rosti Automotive was formerly known as Rosti UK, part of Rosti, a global plastic injection moulding company. 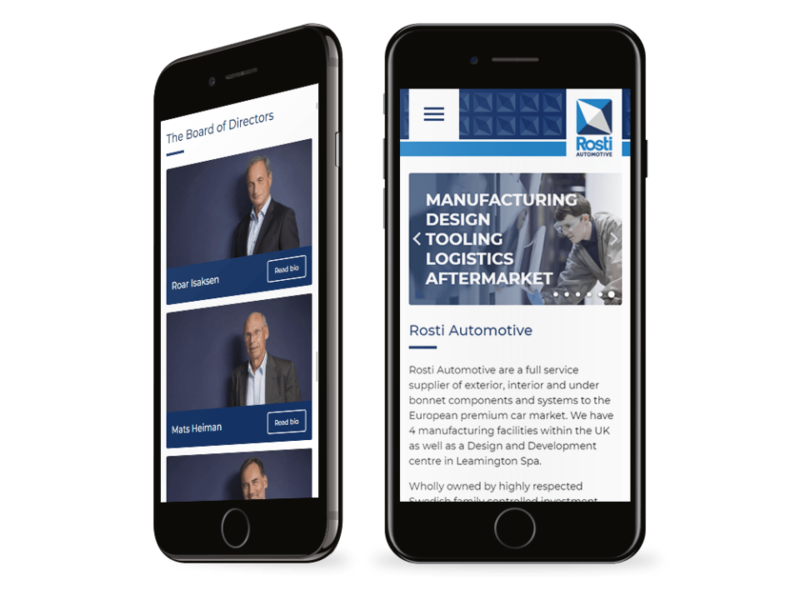 Rosti Automotive was created as a standalone business in order to give maximum focus on the demands and quality standards inherent within the automotive sector. With this new company came new branding. Created by Jörgen Forssling, at The Global Institute of Creation, the branding was carefully implemented throughout Rosti Automotive’s premises, stationary, signage, uniforms and more. We worked with Jörgen to create a new website in line with his vision for the company’s new identity. The end result is a clean and professional image lead design. 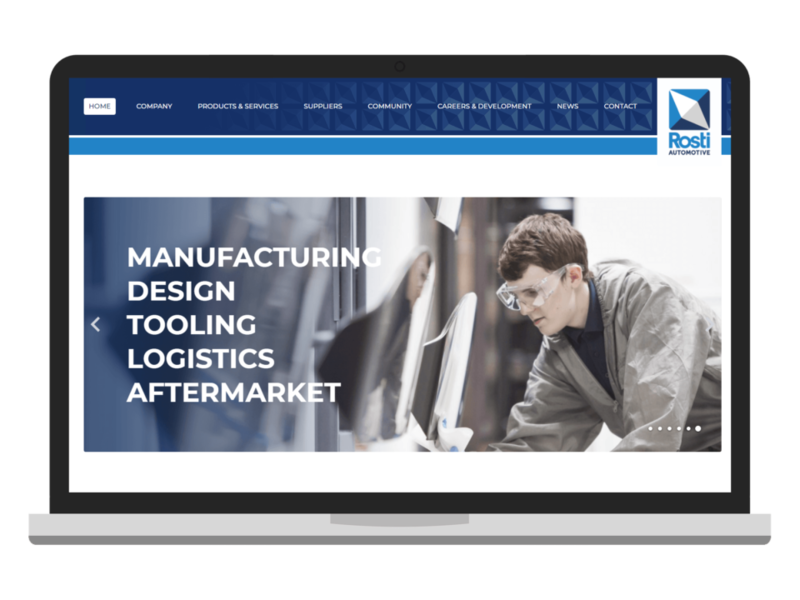 The new website focuses heavily on engaging potential new employees and is brought to life by the fantastic photography from our partner Gareth Buddo at Furmoto Photography.